yo I need all 3 in a size 8.5 us. some1 holla @ me if they can get. thank u. That black pair goes hard! Coppin that! The black and green pair is pure heat. The other two are so-so. 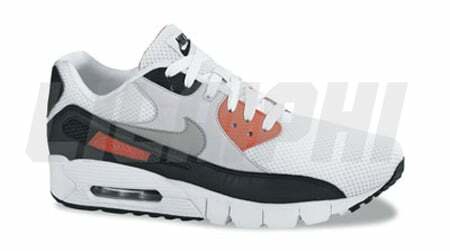 I like the toe box design and the fact that its mesh, something nike has owed us for a long time. I'm still kinda iffy about those outsoles…I'll have to see em in person to make my final decision as to weather I'm gonna cop or not. 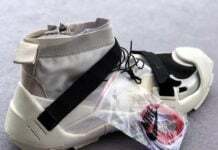 Looks liek the white pair si part of the "Peace Pack". 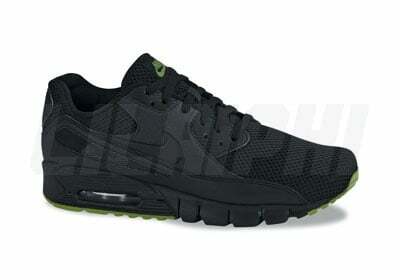 The Black pair looks nice…..not sure about the "Free" Hybrid though im getting pretty tired of Hybrids. Maybe it will look better in person. Love the mesh toe box on both pairs 0f 90s. Still undecided about the hybrid pair. 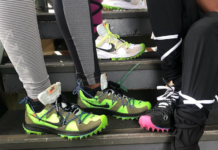 Nike is definately going overboard on this whole hybrid phase. 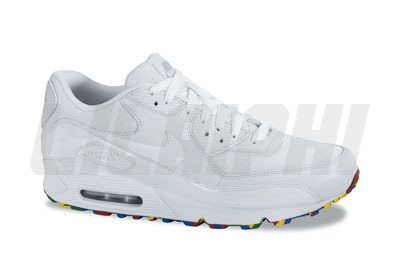 It seems like every hybrid they put out is some other remix of the Air Max 90's! Other than the 90/360 combo, I wish nike would just keep it classic! Like the Free forefoot and mesh for the toebox. All mesh up front gets me nervous without the plastic toe piece like on the Air Max Plus or the Prestos. What’s stopping me from blowing that out or ripping the mesh? free tech front = ruined arches. Plantar facitis? It's like the ebola for feet. I love my shoes, and I love my feet. wow, didnt notice the black pair was a hybrid. Mabey these arent so bad? I've really been hard on the hybrid thing since they started mashing kicks together but, I must say these are pretty good. I feeling the OG infra red colorway and, the black colorway with the green bean soles. I like the white colorway(VERY CLEAN AND, PURE)but, what's with the soles on those? That multi-color thing ruins them. Over all they look hot as lava(sans the white ones). I can't wait to see an actual pair of these hybrids. Untill the drop…3 ***'s and a 1/2 outta' 5. 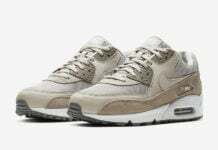 Where could I get a pair of the Air Max 90's with the Free? Anyone know? Size 11.